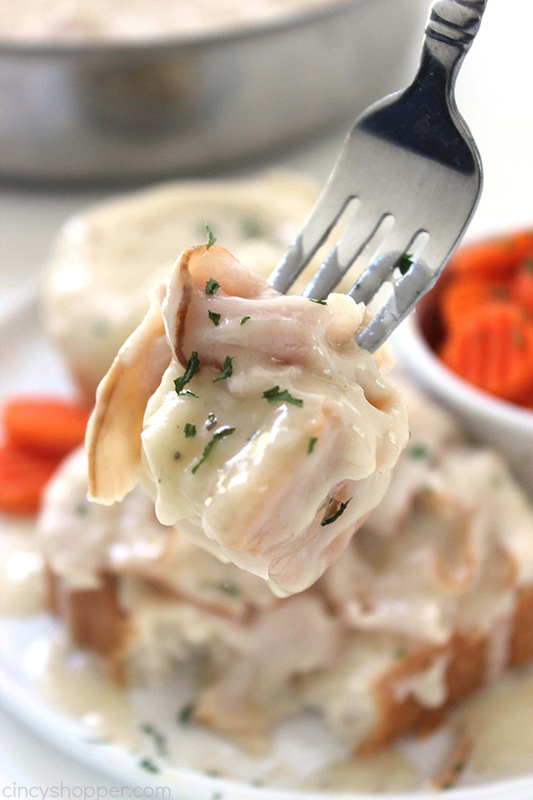 If you are needing a quick dinner idea, you will want to make these Easy Hot Turkey Sandwiches with Gravy. 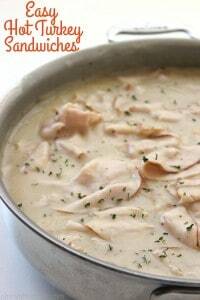 We use store bought lunch meat to create a simple weeknight dinner that is sure to be a family favorite. Quick and easy dinners are always a must for us. Since I have a large family, it can sometimes be difficult to please all of my clan. 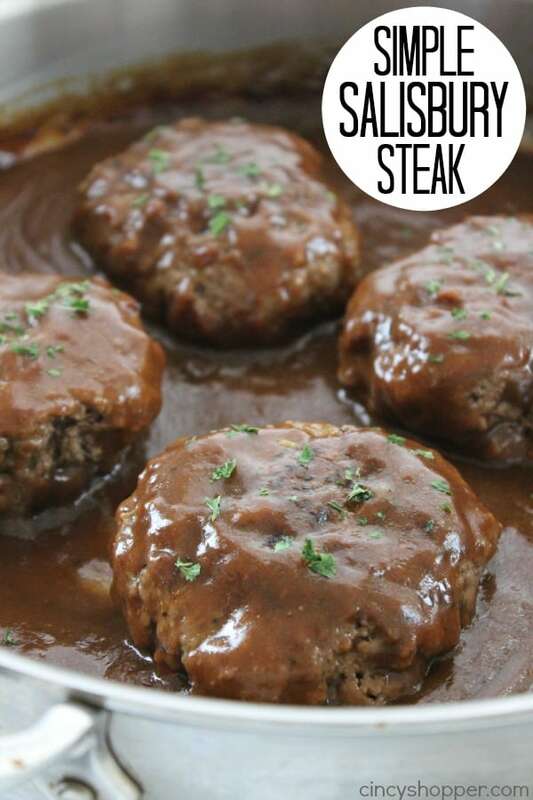 Our Simple Salisbury Steaks are a meal that the hubby and kids love. 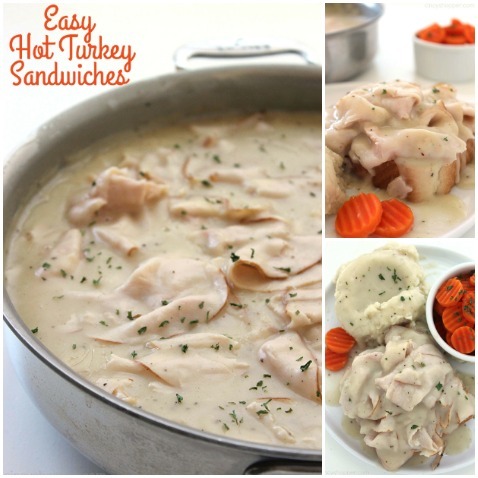 These Easy Hot Turkey Sandwiches happen to be another very frequent meal that I serve. 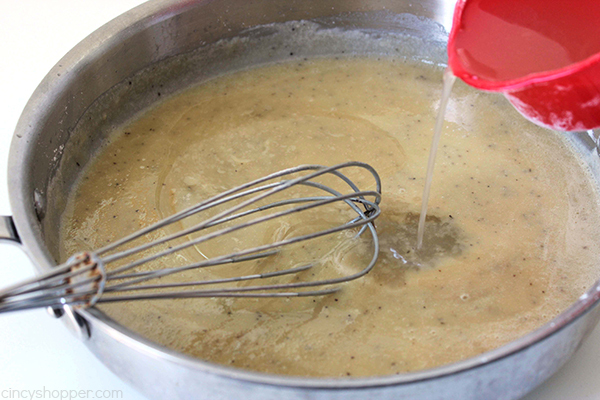 Sometimes, I will use store bought gravy if I am in a pinch for time or if I need one of my teenagers to start dinner for me. 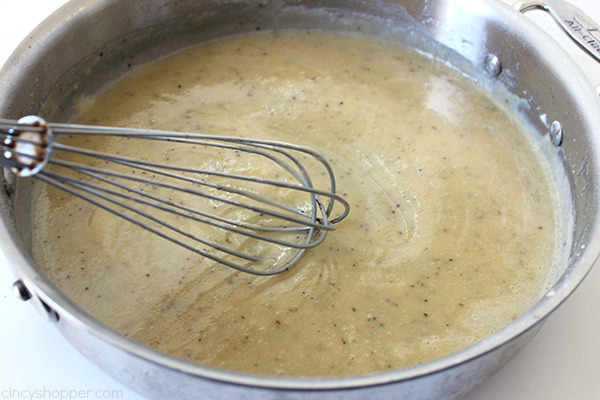 You can use my easy gravy recipe or even store bought jar, envelope, or canned gravy. 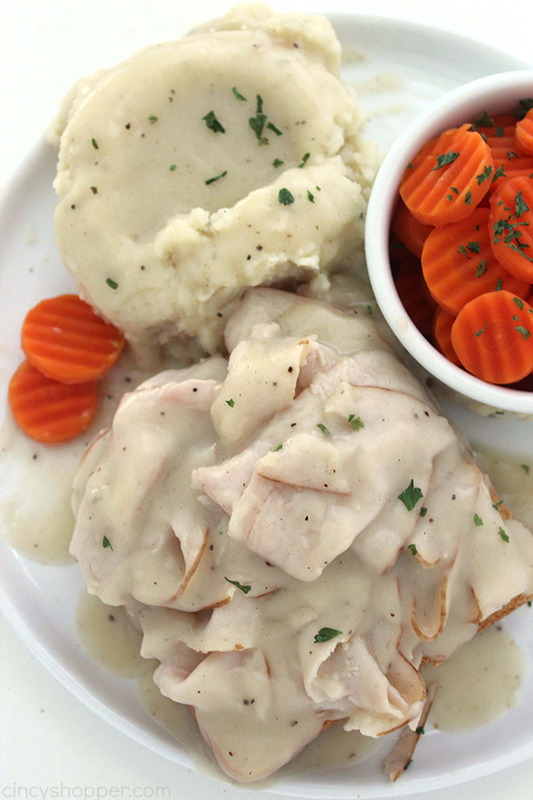 We serve our Easy Turkey Sandwiches with mashed potatoes and a veggie. I can have dinner on the table in no time at all. PERFECT! I also buy Texas Toast Bread. It’s nice and thick. 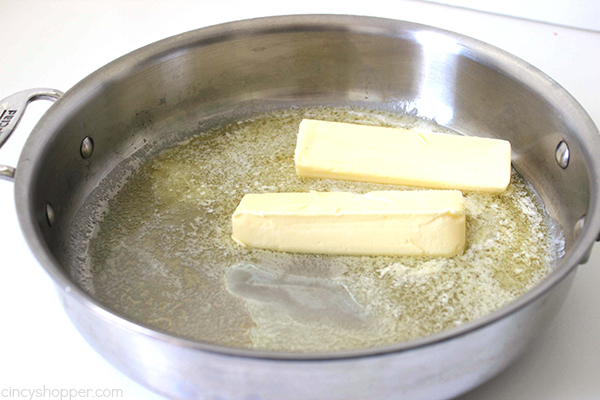 Plus it makes each serving very filling. 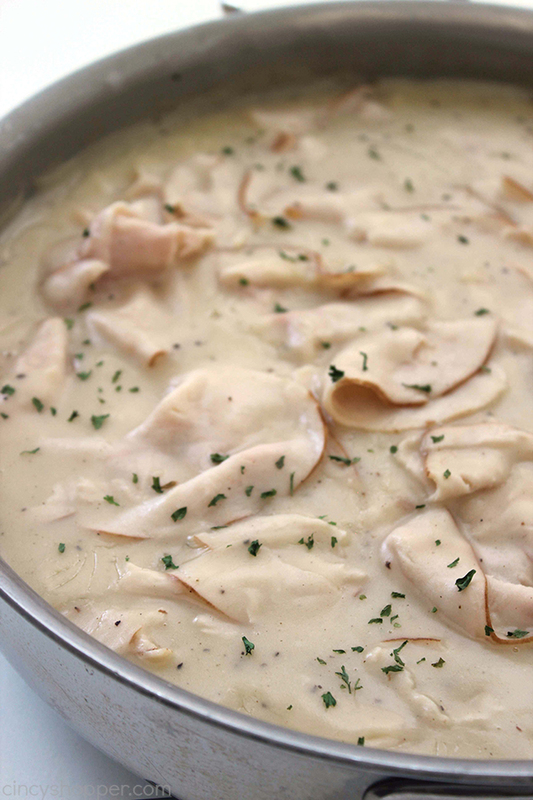 Classic comfort food that is so quick, easy, and inexpensive. 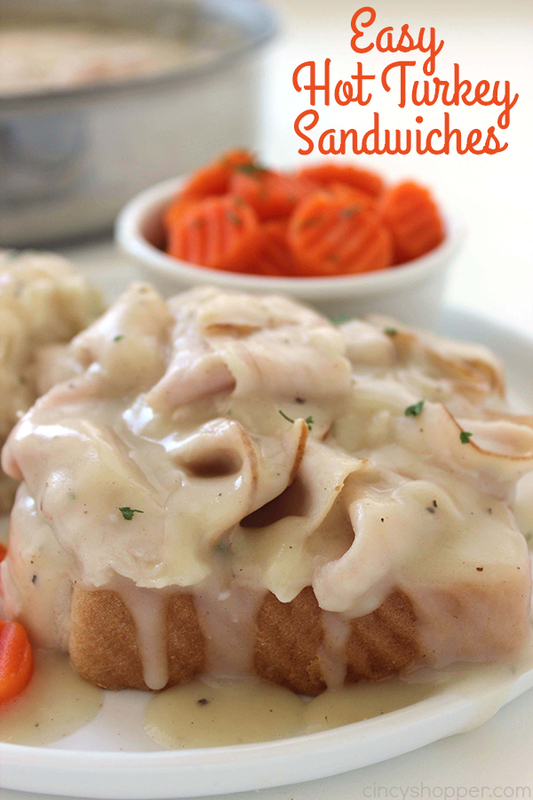 Classic mashed potatoes pair perfectly with these hot sandwiches. 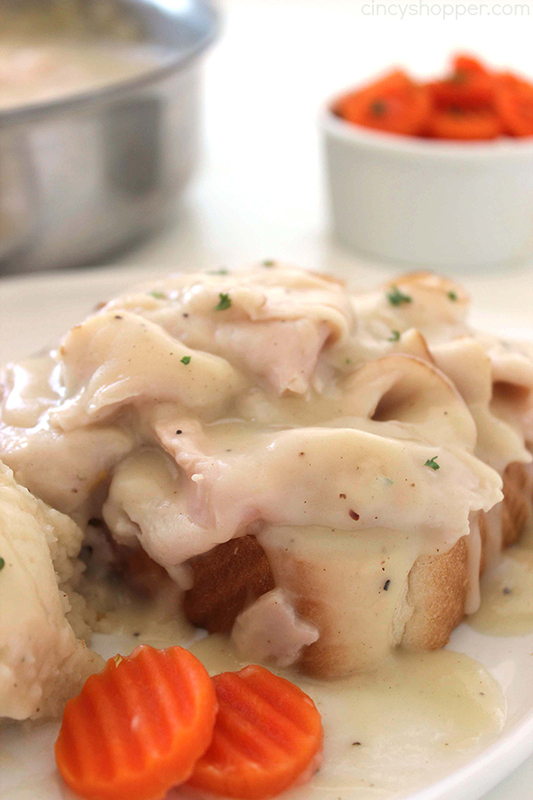 We load extra gravy on top of the mashed potatoes and really soak our sandwiches too! 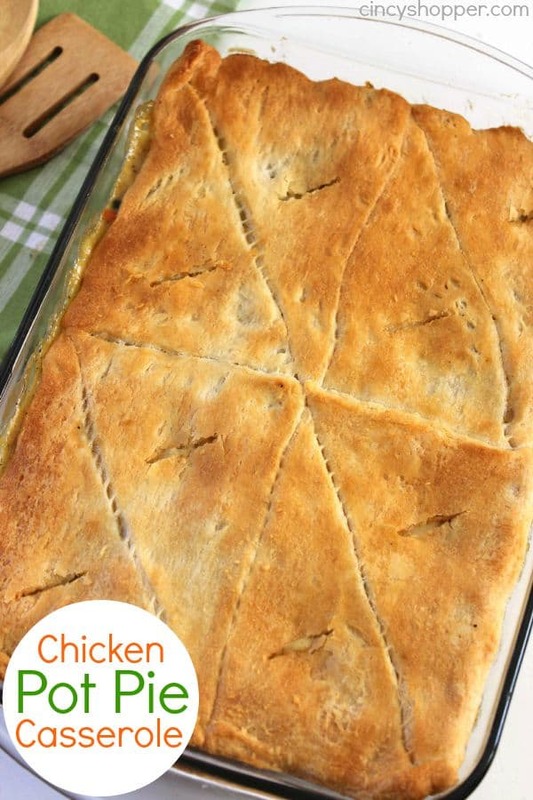 Any veggie will go great with this meal too. I quite often make frozen carrot slices. YUMMY! 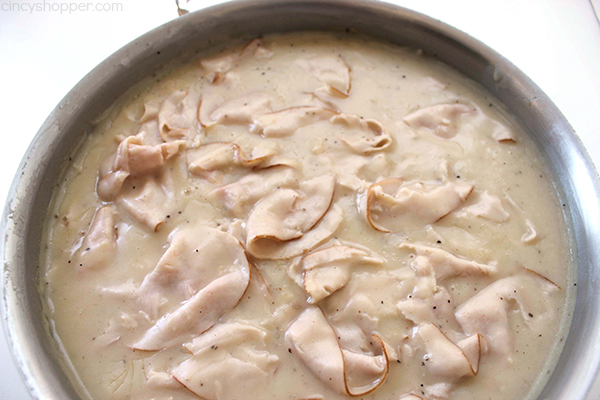 I have never had any leftovers to attempt reheating the turkey and gravy but I would think it would reheat well. 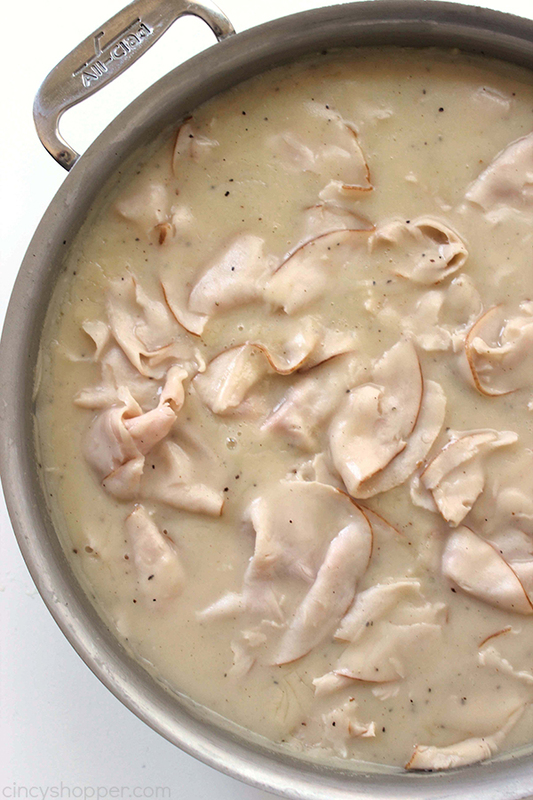 The only thing you will need for these delicious Hot Turkey Sandwiches is bread, sliced turkey meat, chicken stock, butter, flour, and some pepper. Super simple! Add pepper and poultry seasoning. 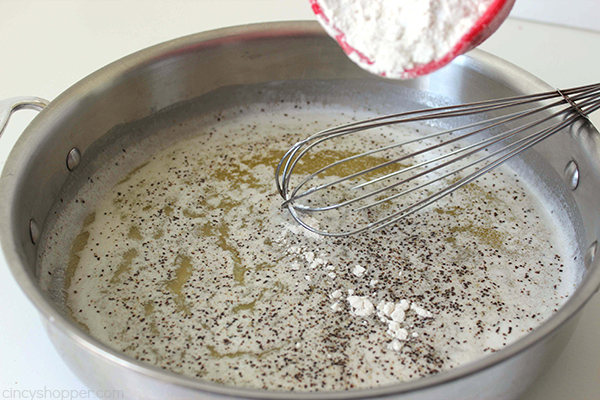 Slowly add in flour, whisking constantly, until smooth and blended. 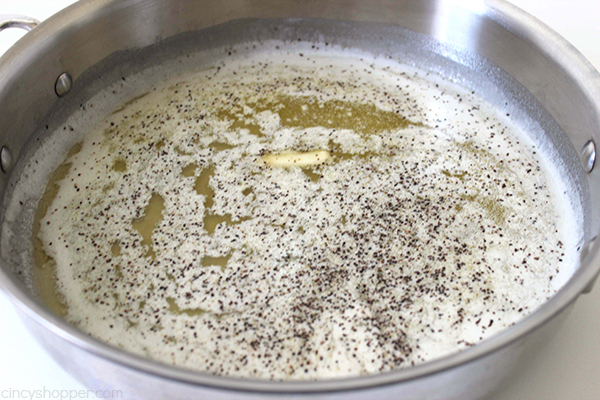 Gradually whisk in broth and water while bringing to a boil. 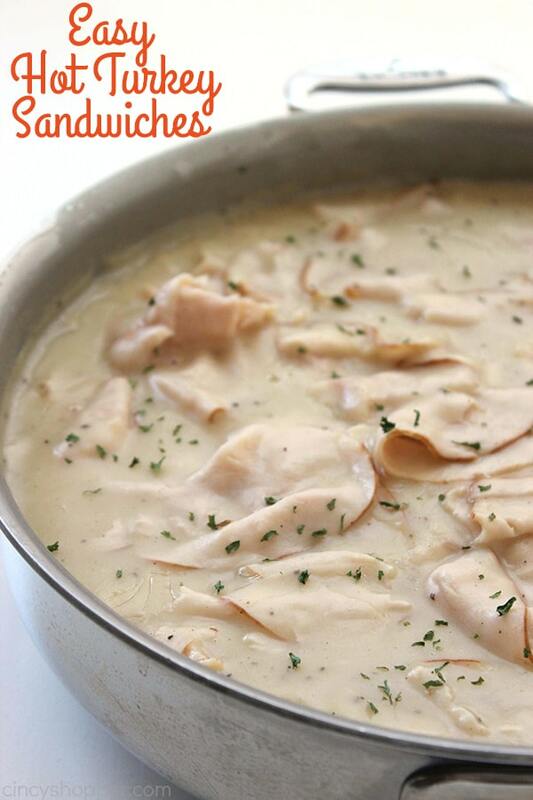 Distribute sliced turkey through gravy and allow to warm. 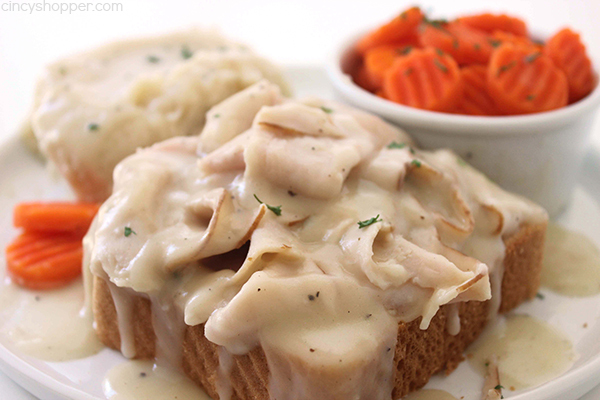 Serve over sliced bread with mashed potatoes and a vegetable. 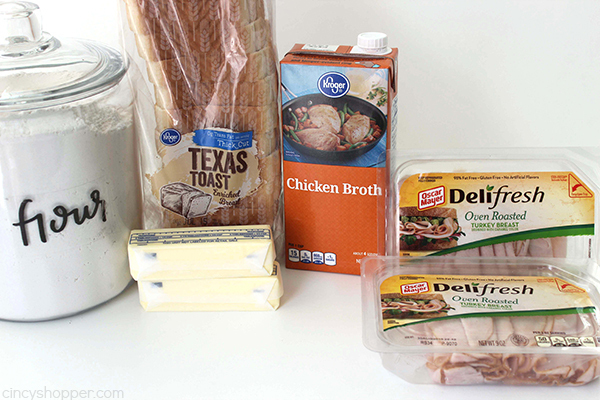 Do you have a favorite easy dinner idea? Oh Yum! My grandparents grew up during the Depression and this reminds me of a meal called gravy over toast that my grandmother would make. It wouldn’t have as much meat in it (because it was a recipe to save money) but it was so very yummy. Looking forward to trying your recipe. I grew up pretty poor and this was a regular in our house. 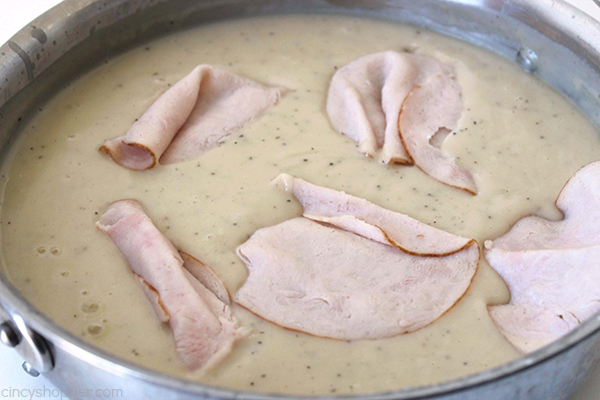 My mom also did it with Roast Beef lunch meat and brown gravy. It was actually really good – you couldn’t tell!!! Generally this was our Friday dinner – cleaning out the fridge. 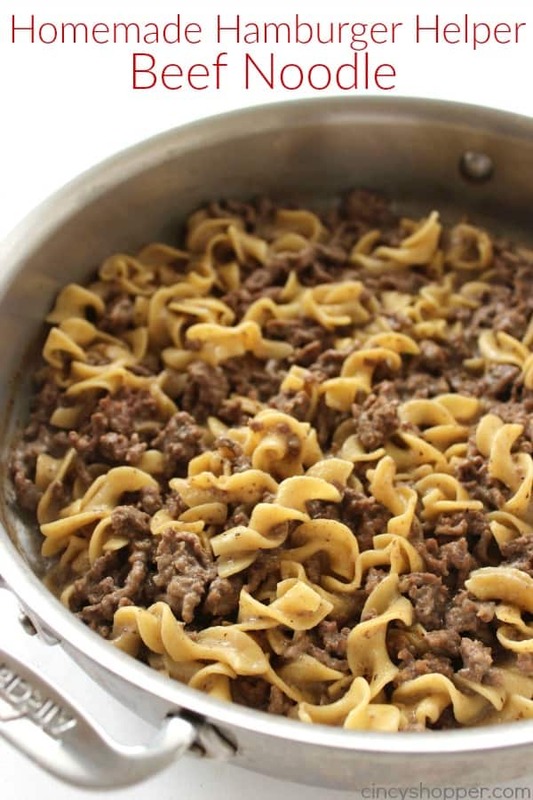 :) I hated meat as a kid – but I always ate this. Thanks for bringing back a good memory! !